← Barbie® Fashionista #SuperStyle Giveaway #BeSuper Winner Is … Is It You? When I was a teenager, years ago, my favourite pastime was reading the Garfield comic strip. In fact, the only reason I turned to the Sunday funnies (in the Sunday newspaper) was to get my Garfield fill. Years later, the comic strip fame triggered a TV show, and even arcade games then films and books! I owned every Garfield book, and my own large stuffed Garfield, and small stuffed Nermal. Back then I was strictly a cat person so I didn’t want an Odie! Thanks to Netflix, I can reminisce with my teenaged daughter watching GARFIELD & FRIENDS. Garfield is an animated series about an overweight, lasagne-loving cat; he doesn’t talk but we do hear his thoughts. Garfield is the definition of witty sarcasm, and I love it! Watching this series is like bringing the books, I used to read, into real life! 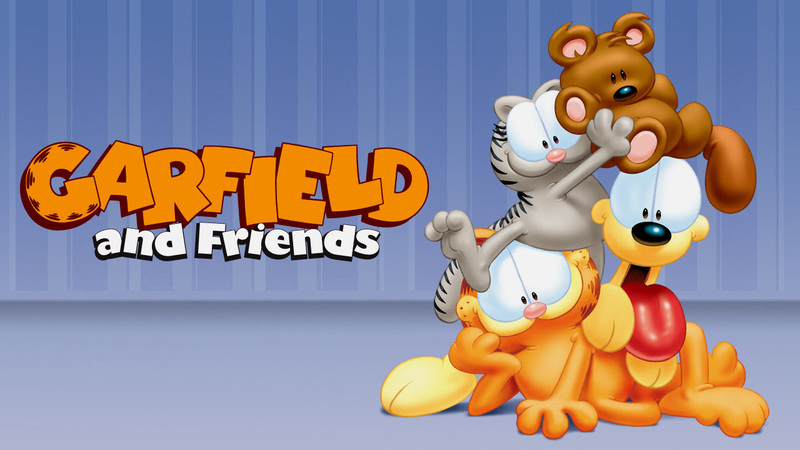 Garfield and Friends is an animated version of Garfield’s life, along with his owner Jon, and live-in pal Odie (the dog). Ugh, it’s a cat’s life. At first, my daughter thought it would be weird to watch an old cartoon, but shortly after we started the first episode of volume 1 on Netflix she began to see why I found it so enjoyable! For me, Garfield and Friends is a must-watch throwback … I get to relive a bit of my youth. For my daughter, it is a look at my youth but also a look at a different kind of fun. For both my daughter & I, it is a must-have Mommy-and-me time! It’s definitely fun, fun, fun! Do you love Garfield as much as I do?